The RiverWiki is an interactive database for sharing river restoration knowledge. It was one of the key outputs from the EU LIFE+ RESTORE project. The River Restoration Centre (RRC) manages the content of the RiverWiki on behalf of the European Centre for River Restoration (ECRR), with the aim to facilitate a shared resource from which we can all learn and develop our skills. Anyone can view the RiverWiki and registered users can upload their projects with information such as objectives, techniques, costs, ecosystem benefits, monitoring results and outcomes. Our anticipation is that the RiverWiki will be populated with projects from around the world. 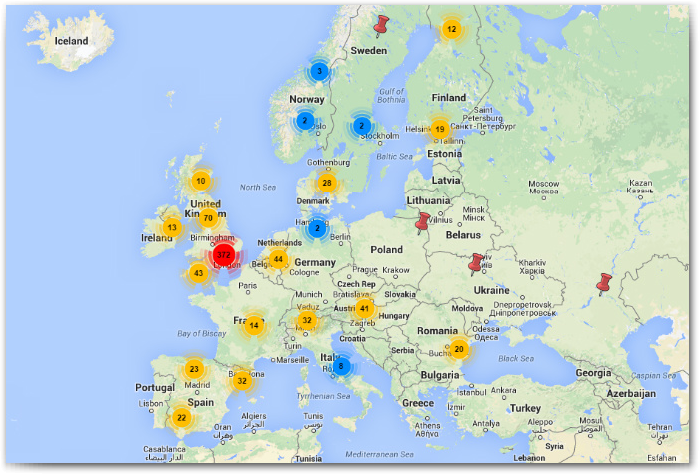 When you add a UK project to the RiverWiki it will be posted onto the UK Projects Map by a member of RRC staff. To enter a new case study on the RiverWiki, use the 'create case study' form on the left hand menu on the main page. You must be logged in and have confirmed your email address to be able to create or edit case studies. You can create a user account via the log-in page or click the following link to go directly to the sign up page. Before entering any case studies please read the contributor rules. 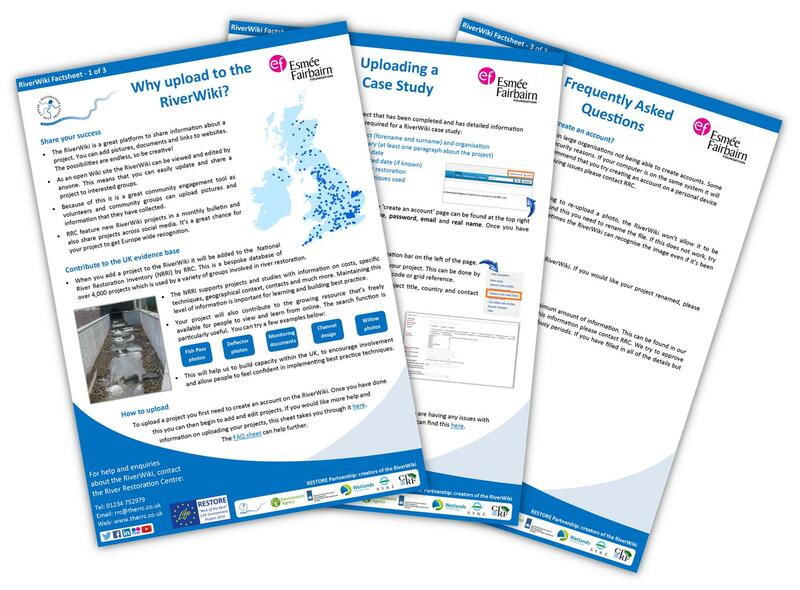 If you need help uploading a project we have 3 factsheets and 2 videos which provide all of the information you need to upload a case study. If you need help or have any questions please contact RRC. You will also find a lot of information in the User guide.